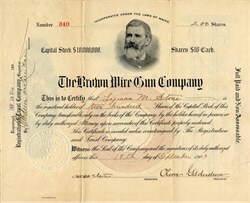 Beautiful certificate and patent from the Brown Wire Gun Company issued in 1903. This historic document has an ornate vignettes of the the founder, John Brown and the brown wire design. This item has the original signatures of the Company’s President, and Treasurer, and is over 110 years old. REPORT OF THE BOARD OF ORDNANCE AND FORTIFICATION. Brown 10-inch segmental-tube wire-wound gun.—This gun was built under an allotment of $33,000 made by the Board September 15, 1896. Its test was begun in February, 1901, and in the two years following it was fired a total of 24 rounds, mishaps of various kinds necessitating its removal from the proving ground for repairs. The last round fired from the gun was on October 28, 1903, following which permission was granted to the Brown Wire Gun Company to remove the gun for alteration of the breech mechanism, which had operated in an unsatisfactory manner throughout the test. The gun was taken to the shops in Beading in January, 1905, that the desired changes might be made. After long delay and many excuses for its non-return, the Board became convinced that nothing would be gained by a further test of the gun, and on November 7,1907, recommended the revocation of all outstanding balances for the test of the material, which was then turned over to the Ordnance Department for disposal. 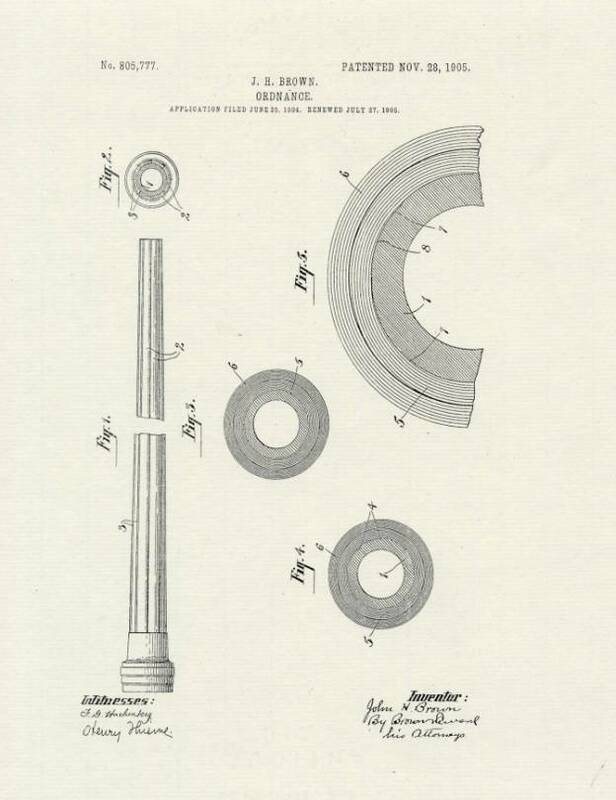 Brown 6-inch segmental-tube wire-wound gun.—As this subject has been finally disposed of during the year by the determination not to employ this method of gun construction, a brief history of the whole matter is given. The act approved June 6, 1902, providing for fortifications and other works of defense, including the armament thereof, contained a provision that, in the discretion of the Secretary of War, a portion of the money appropriated could be used for the purchase of material for a limited number of steel-wire seacoast guns. The trustees of the Brown wire-gun patents made application to the Secretary of War to be permitted to furnish guns of their design under this clause. The Secretary of War, on July 21, 1902, referred to the Board for consideration and recommendation the question whether or not it was advisable to adopt as a type the Brown segmental-tube wire-wound gun, and to purchase or construct guns of that description for the service of the United States. On August 7, 1902, the Board replied that "it is not at present prepared to recommend the Brown segmental-tube wire-wound gun as a type for the service." The Board did, however, recommend, and the Secretary of War approved, an allotment of $25,000 to procure one Brown 6-inch wire-wound gun, with suitable mount, implements and accessories, and 500 rounds of ammunition. This allotment was, on December 4, 1902, increased $16,000 upon the representation of the trustees as to the cost of manufacture, and the amount of ammunition to be furnished was reduced to 250 rounds. On May 4,1905, a further allotment of $3,960 was made to provide 30 additional rounds of ammunition—and a like number for the Crozier gun—for rapidity test. This sum not being used, the allotment was revoked on June 4, 1908. March 10, 1906, an allotment of $400 was made for repairing gas check seat of the gun and for rebanding ten projectiles for continuing the tests. The total amount allotted for purchase of the gun and mount and expenses of test was therefore $43,380, of which $1,980 was subsequently revoked. In March, 1906, the gun was removed from the proving ground for repairs to the breech mechanism, and returned the latter part of July. The tests were continued from that time until February of last year, the aggregate number of rounds fired being 98. The condition of the gun at this time was such that the Board determined to make no further firings in continuance of the test, and recommended the appointment of a committee of experts in gun construction with a view to aiding the Board in determining the relative merits of the Crozier and Brown systems of gun construction. 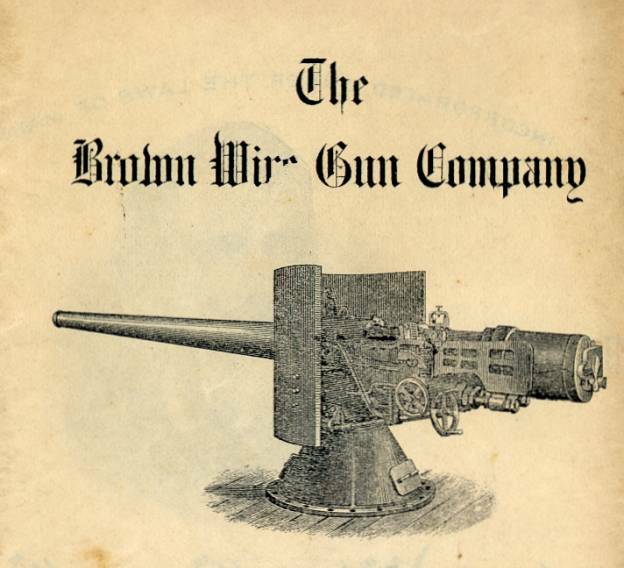 The Brown Wire Gun Company protested against a report being made on the relative merits of the two systems, on the ground that its gun was designed to permit comparison with guns in service at the time the allotment was made and that the Crozier gun was a later development; and, furthermore, that "the performance of both of these guns is so wonderful and so far ahead of anything else in the world as to make it no more than a matter of simple justice to adopt them both as types suitable for the service." 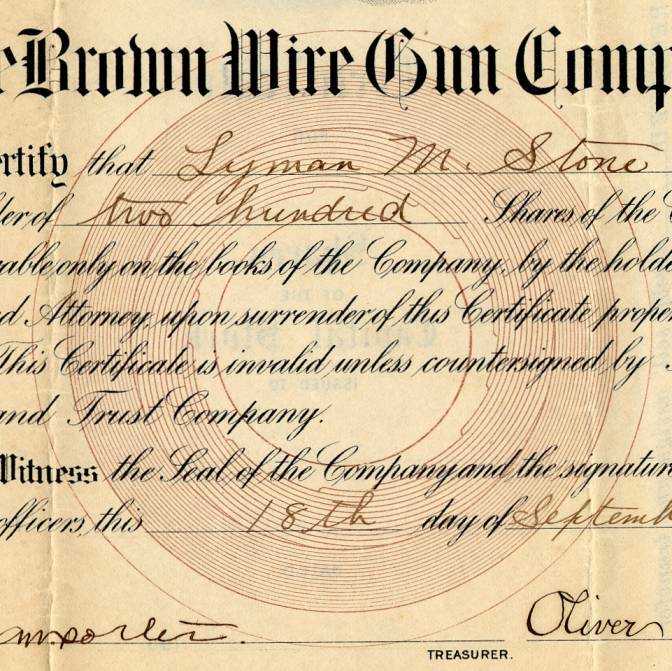 After full consideration of all arguments and claims of the Brown Wire Gun Company and of all tests of the guns so far constructed by the company and tested by the Government, the Board believes that it is not advisable to adopt as a type the Brown segmental-tube wire-wound gun, nor to purchase or construct guns of this description for the service of the United States. In this connection it may be noted as a matter of information that General Crozier, the Chief of Ordnance, being the designer of the 6-inch gun tested in comparison with the Brown gun, was, at his own request, excused from the Board during consideration of all matters relating to the test of the 6-inch wire guns. 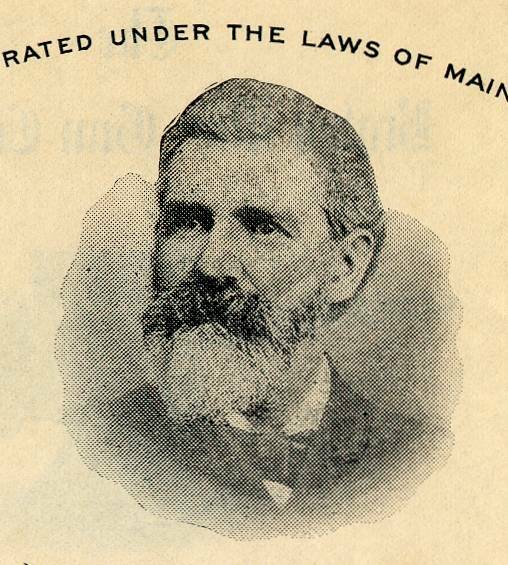 The Board did, however, avail itself of his knowledge as an expert witness in gun construction, as it did of the opinion of Mr. J. H. Brown and other representatives of the Brown Wire Gun Company.